Pork chops are a dinnertime staple in many homes. Pork is lean, quick cooking, and affordable—perfect family food. We eat chops a lot in our house, which means they have the potential to become boring. In order to prevent the dinnertime dullldrums, I'm always looking for easy ways to dress them up to keep things exciting. One of my favorite ways to top them is with this simple and delicious blueberry and pineapple salsa. 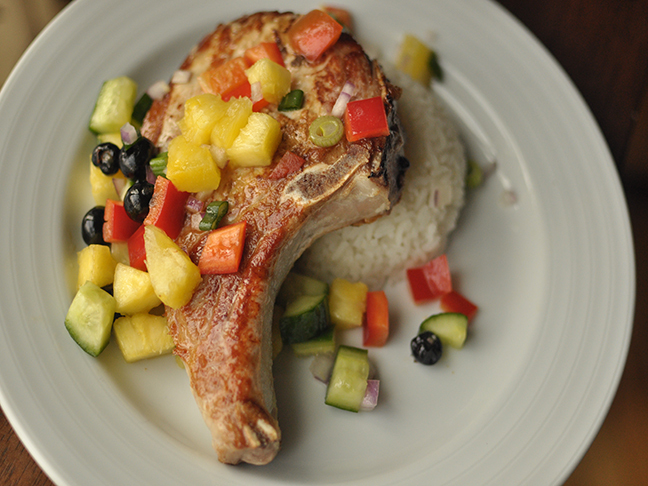 Pork chops with fruit salsa combine the sweetness from the fruit in contrast with the lime juice, making the perfect topping. This salsa is also very versitile and is delicious over fish or seafood (think: salmon, flounder, shrimp) or as a topping for plain white rice. Step 2: Pat pork chops with a paper towel on both sides to remove excess moisture from meat. Preheat 1 tablespoon of olive oil in a large oven-proof skillet over medium-high heat. Add pork chops to the skillet and cook for 3-4 minutes on each side. Step 3: Transfer the pan to the oven and cookfor aappproximately 15 minutes or until they reach an internal temperature of 140 degrees. Step 4: While the chops are in the oven, make the salsa. 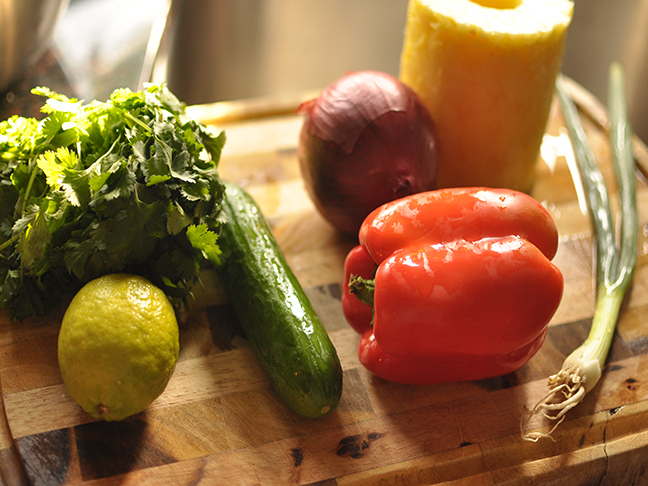 Place all of the ingredients into a bowl and toss gently to combine. Top chops with salsa and serve alongside steamed white rice. 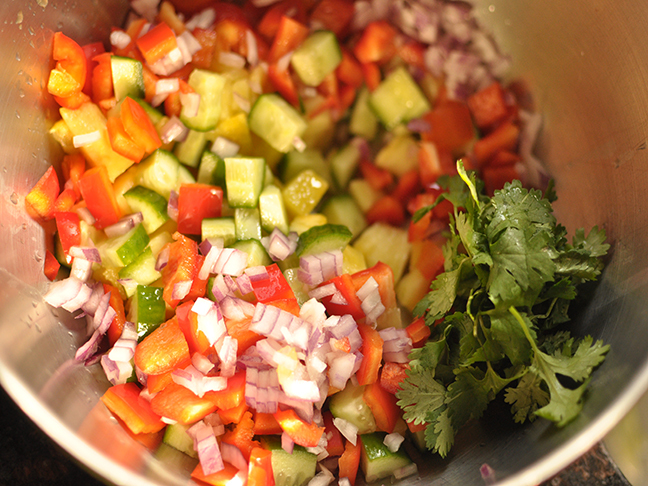 Salsa can be made up to three days in advance and kept refrigerated in an airtight container.